The current price is 9300 Euro. 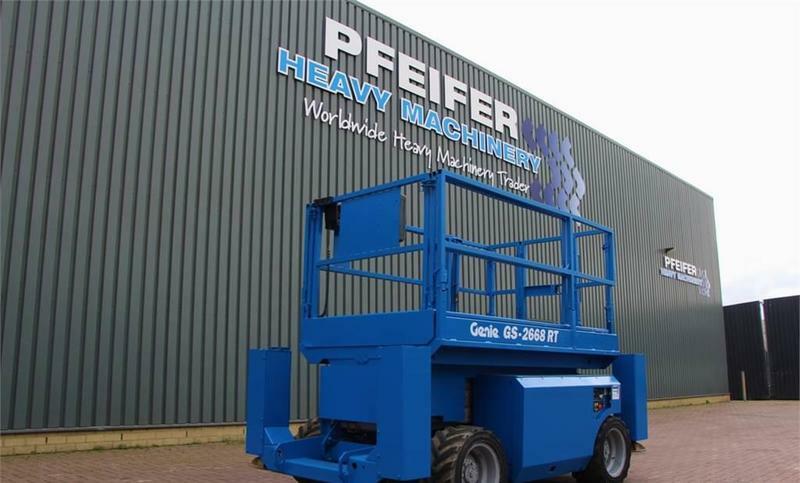 The detailed specification of GENIE GS2668RT scissor lift is provided below. Chassis configuration: front tires: 50 %, rear tires: 50 %, tires: Outrigger.